Have your appliances broken down? Get in touch with the technicians from Mr. Appliance® of St. George today. We are familiar with all types and brands of appliances, and we can offer you repair services that are fast, efficient, and detail oriented. Contact us to learn more. In addition to residential repair, we specialize in restaurant appliance repair and have become the local go-to company for commercial microwave repair and service. For more information on our experience and how we can help your business, give us a call. Our technicians have more than 65 years combined experience. They love what they do and it shows. They enjoy making things work and keeping our customers happy. Our thoroughly-trained technicians are prompt, efficient, honest, and professional. Call Mr. Appliance of St. George at (435) 633-4873 today to request your next appointment! We serve all of Washington County and surrounding areas, including Washington, St. George, Hurricane, Mesquite, and Clark County, NV. Whether it’s your home appliances or commercial appliances that need repair, we are equipped to deliver fast, long-lasting solutions. 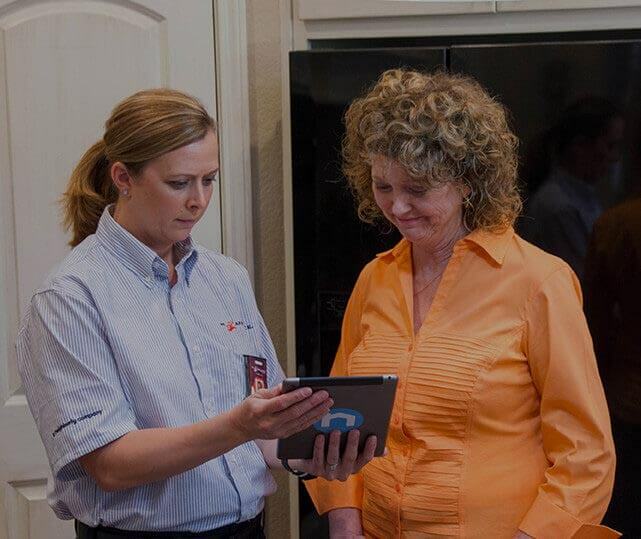 Our team understands how much of an impact one faulty appliance can have on your day, which is why we strive to respond as quickly as possible. When you call Mr. Appliance of St. George, you can rest easy knowing our team of specialists is thoroughly trained and qualified to handle virtually any appliance repairs you need. It’s our goal to ensure that your home or business functions optimally all year. Contact us at (435) 633-4873 for a free estimate!